We can build your entertainment center exactly how you want it. 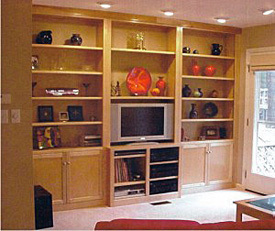 Bring in a picture, drawings, sizes, or just an idea and we will help design your entertainment center. We will also finish it and build it in for you.